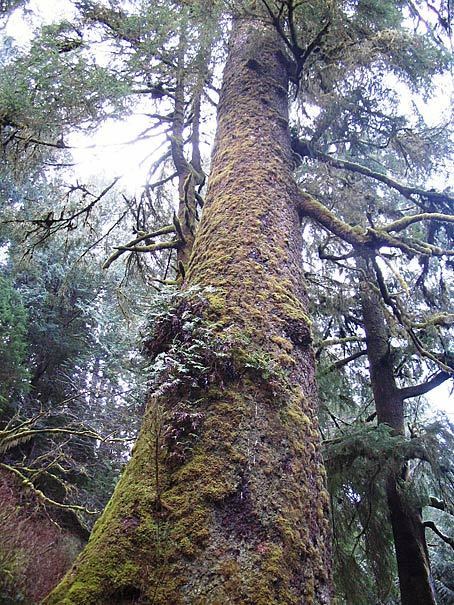 Half a century before Christopher Columbus sailed to the America’s, a tiny Sitka spruce began its life nourished by a nurse log on the Oregon coast. 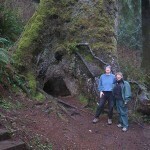 Today, it is the largest and oldest tree in the Cape Perpetua Scenic Area of the Siuslaw National Forest. 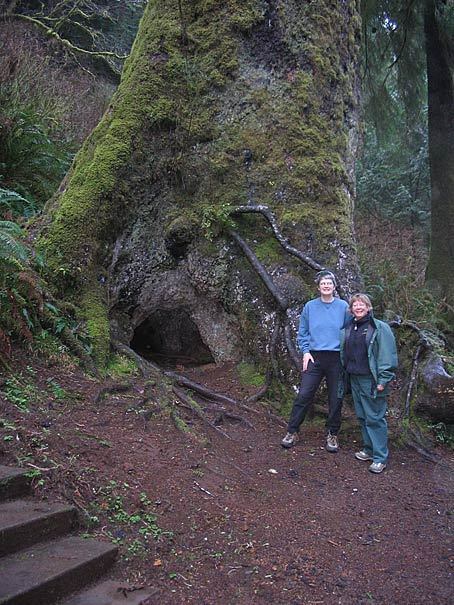 Nearly 600 years old, it stands over 185 feet tall and has a circumference of 40 feet. 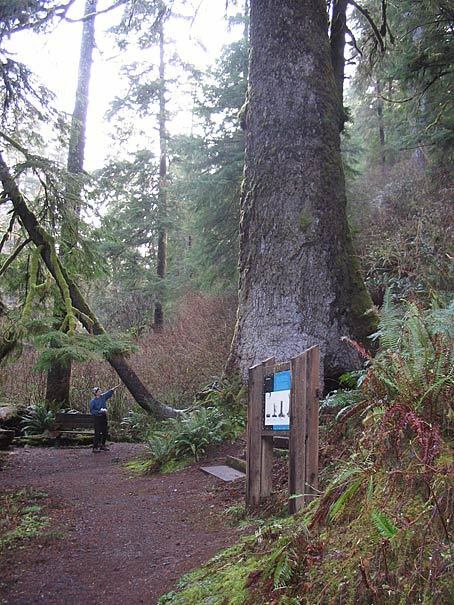 Nearby the tree, indigenous people dwelled at the mouth of Cape Creek for 1500 years and in the 1850’s the Coos and Lower Umpqua people were forcibly relocated here to the Coast Reservation. In the 1930’s the Civilian Conservation Corps established a camp here and built the first trail to the tree, probably opening up an ancient Indian trail. 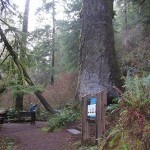 The Giant Spruce is accessible from the Cape Perpetua Visitor Center by walking the one mile spruce Trail. 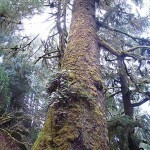 Cape Perpetua is located three miles south of Yachats on US Highway 101.